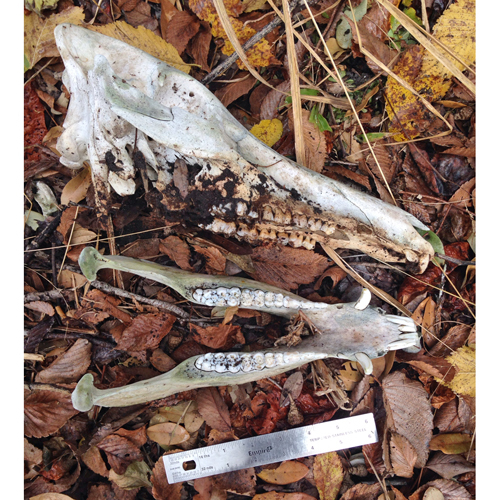 Pig skull and jaw bones showing the arrangement of teeth. Note the characteristic tusks on the lower jaw. Little information is available about identifying pig bite marks but see page 24 of the Landcare Research identification guide.